From the tumbling tot to the competitive gymnast, our gymnastics program offers opportunities for all ages and abilities. USA Gymnastics is the National Governing Body for the sport of gymnastics in the United States, consistent with the Amateur Sports Act of 1978, the Constitution of the United States Olympic Committee and the International Gymnastics Federation. The mission of USA Gymnastics is to encourage participation and the pursuit of excellence in all aspects of gymnastics. Team instructors are USAG Safety Certified and are USA Gymnastic members. All staff are CPR, AED, and First Aid Certified through the Park District. Our program is staffed by a qualified, caring team of professionals who are sensitive to the needs and uniqueness of each child. Our staff has a background in competitive gymnasts and/or cheerleading. Staff are CPR, AED and First Aid certified. The coaching staff are USAG professional members and are background checked yearly. All USAG coaches hold a Safety and Safe Sport Certification. We offer many classes for little ones ages six months to 5 years where basic gymnastic skills are taught and healthy, active play is encouraged. 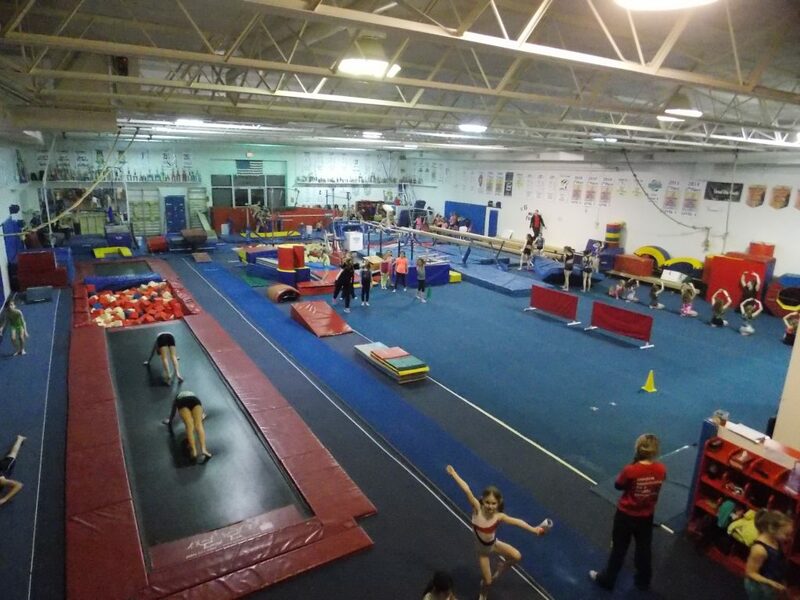 The kids will enjoy the Tumbl Trak, trampoline, foam pits and a wide variety of gymnastic equipment. Come Play With Me, and Tumbling Tots with Parent require a parent or other adult caregiver to participate in class with the child. For other classes such as Jumping Beans and Tumbling Tykes, parents are asked to stay in the building. Boys and girls will be taught skills based on the USA Gymnastics’ level 1-4 curriculum. Gymnasts will be tested three times per year (May, August, December) to determine skill progression. Should a gymnast demonstrate mastery of skills prior to testing, the gymnast will be invited to the next level by their instructor. If you are unsure of your child’s level, please call 630.554.4061 to set up an evaluation. Team Oswego is committed to assisting each gymnast in their pursuit of excellence in both, the sport of gymnastics and as an individual. We will strive to instill self-confidence, persistence, teamwork and a positive self-image that can be carried throughout their lifetime. We compete USAG Xcel for girls. Team selections have been made for the 2018-19 season. If you are interested in competing for Team Oswego in the future, email Jen McFall or call 630.554.4061 to see if your child would be eligible. View the 2018-19 Team Practice Schedule. View the 2018-19 Competition Schedule. Children and teens are invited to join us for some playtime in the gym! Registration accepted online, in person or by calling 630.554.1010. Space is limited to the first 30 participants. Only 5 total spaces (including free children) per family/account. Children under 2 years are free but will need to call to register. No refunds once registered. Children 9 years old and under must be accompanied by an adult in the gym. Ages 10-17 may participate alone, but an adult must accompany the child into the building, sign a waiver, and leave an emergency contact number. $8 per child for Family Open Gyms. No Open Gym March 24, 29, 30 & April 21.